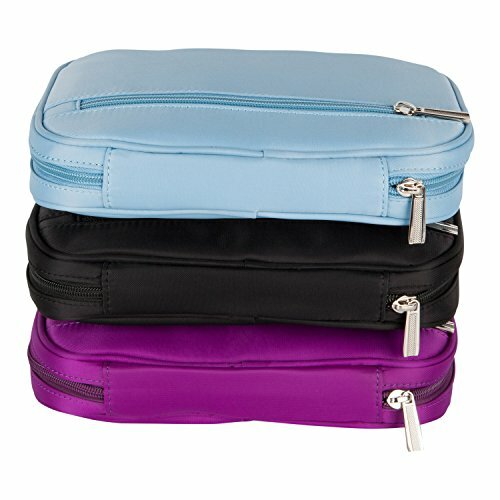 CONVENIENT: Bring your jewelry with you in this compact, yet roomy travel storage case. 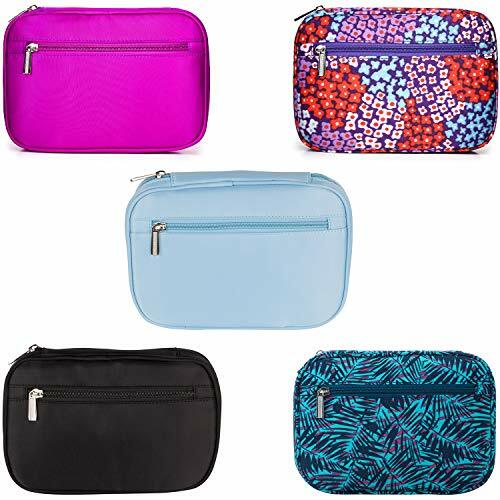 Ample storage inside as well as a convenient external zippered pocket for quick access (can even fit a large smart phone). SUPERIOR: For travel, this jewelry organizer is superior to a hard jewelry box. Slip it into your backpack, carry-on baggage or your purse. REMOVABLE POUCH: soft velvet material offers additional storage and separates the jewelry on the left side of the case from that on the right. Snaps retain this zippered pouch to the main case. SECURE: Zippers close tightly keeping the contents safe, preventing any items from falling out. Don't risk your jewelry with a jewelry roll or folding case! SOFT: Velvet interior protects your valuable jewelry. Two interior zippered pockets to secure watches and bracelets. 6 necklace loops with small pouches to separate pendants, long ring loop holds multiple rings, 28 ear-ring holes.